When any rider get on a horse they should be kitted out in the correct protection wear. They must wear a riding hat, which should be correctly fitted, not too big or too small and a body protector is also a good idea too. 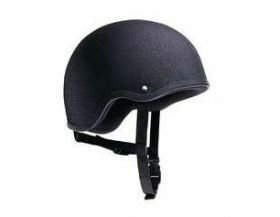 We stock a variety of Riding hats and skull caps, along with differnt covers and hat bags to keep your hats nice and clean.